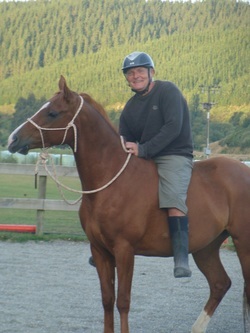 Rupert is for our more experienced riders and he is definitely the 'lead horse' in the paddocks! 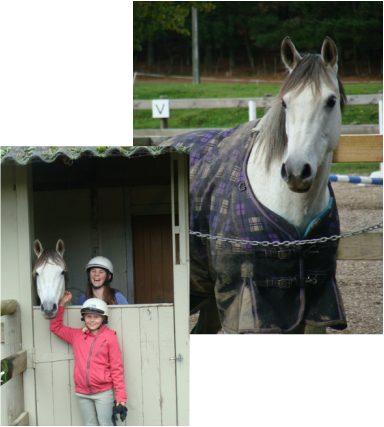 Harry adores children and is a successful dressage/ SJ pony. He has the most AMAZINGLY comfortable canter. What to say about Buttons... he's Terrific with a capital T!! A few years back he completed the Winter Series Dressage with our 4 year old daughter and took 2nd place overall... what a hero! He LOVES children and loves to show off some of his tricks! 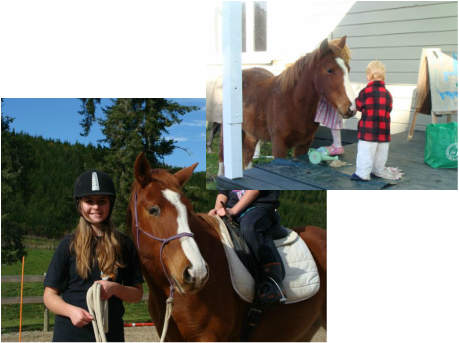 He's 36 years young and still loves galloping around in the forestry and, on occasion, still attends Waimea Pony Club! Alida is fairly new to the Giggling Pony. She is an amazing pony who gives her all in everything that she does. She is our daughter Annie's pony at present and they have already started to make a name for themselves in local competitions. Blue has begun to be ridden independently within the riding programme and is proving to be an absolute delight. She is a great horse to hack out with and really tries hard to please. Sym is just a wonderful pony who loves to do everything. She is an excellent 'hoof-baller' and is learning many new tricks. 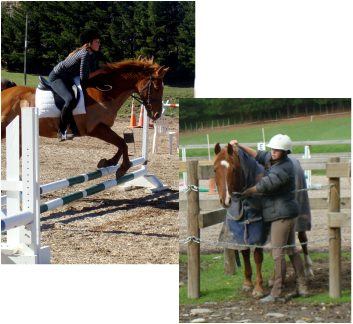 Has become an excellent wee show jumper and has represented Waimea Pony Club at the Marlborough Trophy Dressage and the Abel Tasman Shield showjumping. Thumby is the new kid on the block! She is a fun little pony, laid back and REALLY friendly. 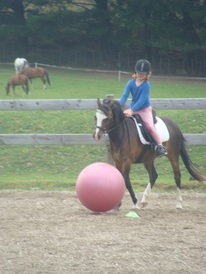 Likes to have a rider who enjoys moving! Casper is a really loving character and if there's ever any mischief on the property we guarantee that Casper is a part of it!!! Another recent member to our riding school. 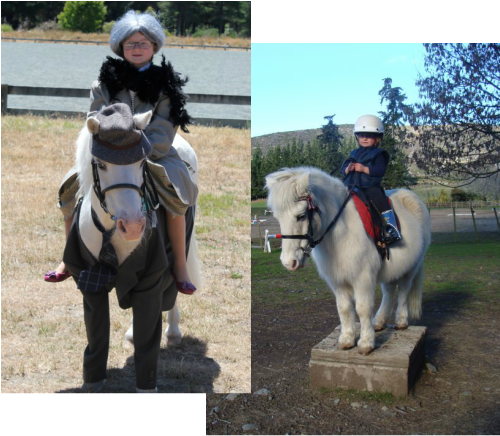 Renee has 'been there and done that' and is proving to be an awesome teacher for our growing students who have been getting too tall for the smaller ponies. Salsa is often referred to as 'Sally' as she isn't hot or spicy! A sweet wee mare, half-sister to both Morris and Merry. She is undergoing her basic training at present before becoming a riding school pony. Another big thanks to Nicki and Bob Gilkison. Gem has integrated very well into her new role within the riding programme and is also proving to be an absolute delight. She is for experienced riders and really tries hard to please. 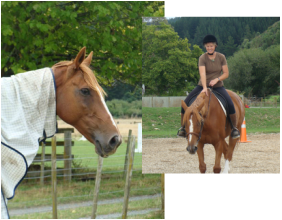 Gem is regularly competed in dressage. Morris has the sweetest nature. Morris has proven himself to be a very happy-go-lucky, kind riding pony who seems to take everything in his stride. Thank you to Bob & Nicki Gilkison for gifting Morris to our family! Kavaghn is a real smooch and LOVES attention of any sort. He is a sensible ride for the more advanced (or taller!) riders.